How do I format my résumé? What do I include on my resume to highlight my skills and abilities? How can I sell myself in an interview without misrepresenting what I have to offer? How do I translate my military experience into civilian terms for my résumé and interviewing? How can I lose the military look so it doesn’t become a barrier when interviewing? Where do I find job opportunities on the civilian market to fit my skills and abilities? What do I include on my résumé to highlight my skills and abilities? How do I deal with my incarceration in my work history chronology on my résumé? How can I find what I am best suited for? Where can I find opportunities to break into a new field? How can I identify my transferable skills? How do I format my résumé to show my transferable skills, even though I don’t have industry experience? 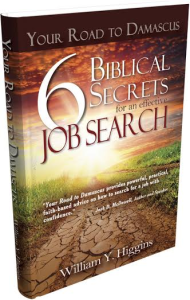 6 Biblical Secrets for an Effective Job Search is a book about hope, encouragement, renewal and revival in the midst of a job loss. 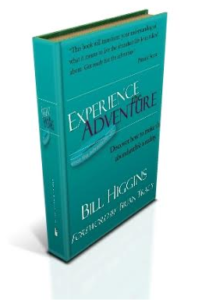 It will forever change your your life and your perspective of how God works through crises. 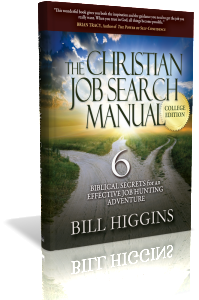 Your Road to Damascus integrates biblical strategies and principles with cutting-edge techniques to give the reader a spiritual advantage in a job search. 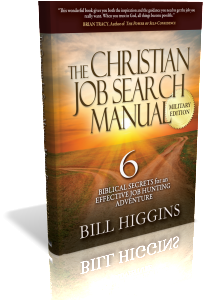 The lives of Joseph, of coat-of-many-colors fame, and the apostle Paul are studied to see how God worked in their lives to move them to different ‘jobs.’ Insights are drawn from these to present guidelines for contemporary job seekers. You will never view a job loss in the same way after reading this book. It’s that good! Buy now at the publisher’s price of $20.00 plus S&H, a 50% savings over Amazon and Barnes & Noble. 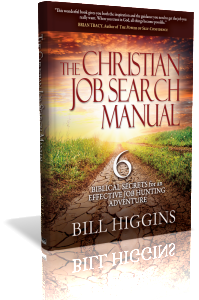 This book of devotions for job seekers is meant in much the same way as the local tavern where many go to find encouragement in times of trouble. 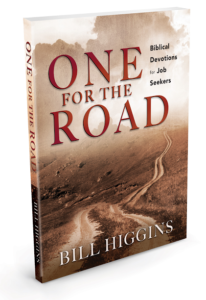 This book is a word for the road to fortify you to travel down that rugged road of unemployment. The word of God can be the water that quenches your dry and thirsty soul as you travel that weary road. It can give you back the song so you can sing again. It can be the water that refreshes you to keep at it for another day. Sometimes all we need is one for the road to help us keep putting one foot in front of the other. One for the road that offers a word of encouragement, trust, hope, insight that all is not lost, that God is still in control, and that He is working on your behalf.